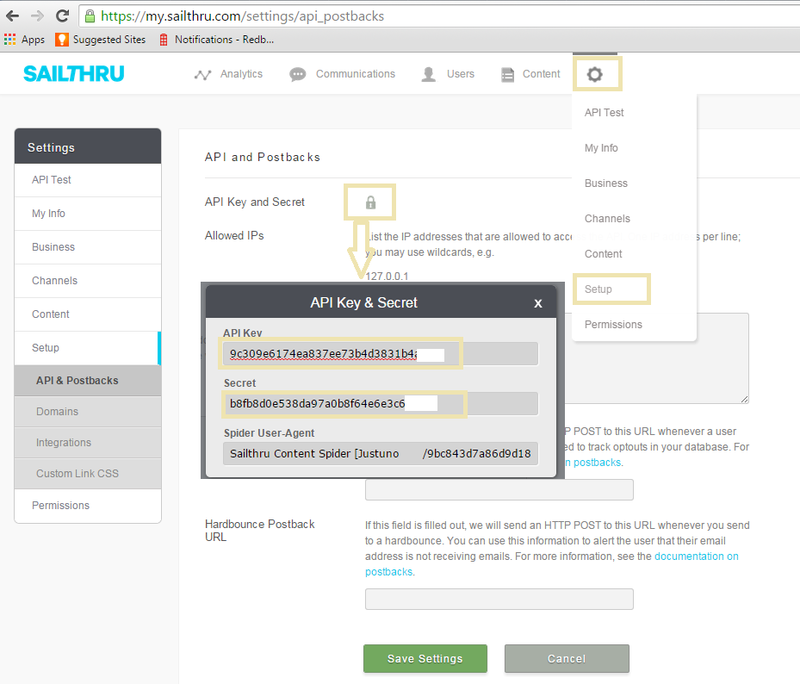 You will need to generate an API Key and API Secret to use with Justuno. b. Select the Admin Gear icon and choose "Settings". Click on the Lock icon for "API Key & Secret". Copy the "API Key" (API Key) and "Secret" (API Secret) for use in the next step. 2. Now you have an API Key and Secret that you can use with Justuno. After logging in, click "Promotions" and then select "Edit Integrations" next to the desired Promotion. 3. On the "App Integration tab", scroll down and click on Sailthru to launch the configuration options. a. Enter your API Key and Secret from Step 1.
b. Select a SailThru list and click "Save." 4. 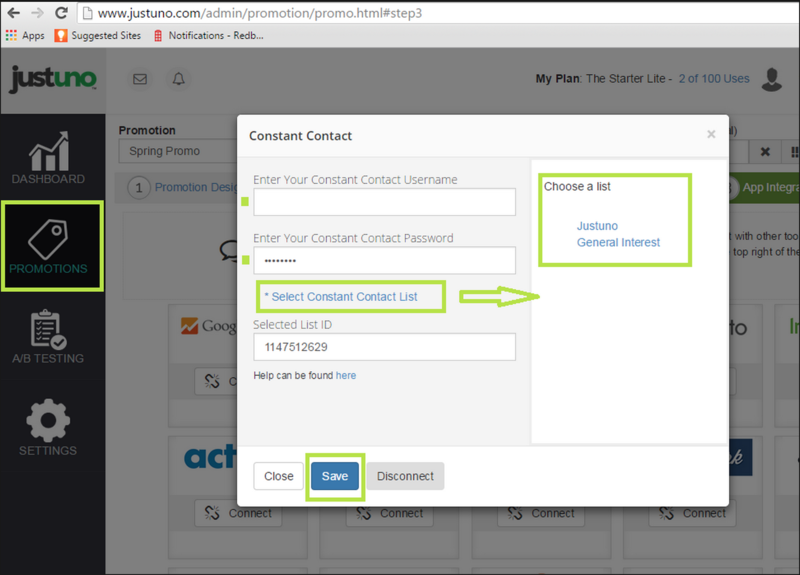 Your Justuno will now sync new signups to your selected SailThru list as they come in!